The idea for Trees for Tigers began when Kim and Rob Voyle went on an Amur Tiger Tracking Eco-Tour in Eastern Russia with Martin Royle from Royle Safaris. The Founders: Alexander Batalov, Kim and Rob Voyle, Martin Royle, and Viktor Lagutin our translator. Together we stayed, with other guests, at Alexander Batalov's conservation base camp. Over the dinner table and in our vehicles as we toured the region we considered the plight of the tigers. what do boar need to flourish? Unfortunately these trees are subject to both legal and illegal logging operations with little regard for the forest regeneration. 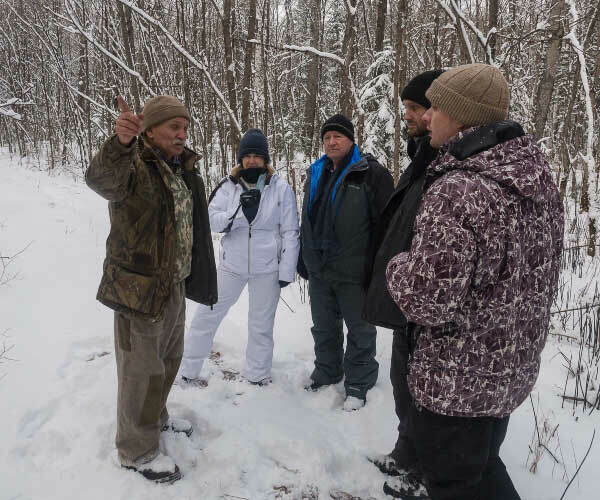 Upon their return to their home in Oregon, USA Kim and Rob in conjunction with Martin in the UK and Alexander in Russia the Voyle's established the Oregon based 501(c)(3) Charitable Organization to focus on the re-forestation of tiger habitats in Eastern Russia. Kim Voyle has had the good fortune to spend a lot of time with two Amur tigers while volunteering at the Oregon Zoo. Trees for Tigers is an expression of her love and concern for cats of all kinds and in particular the Amur tiger. 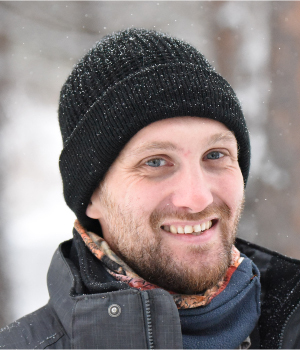 Martin has a life-long passion for the natural world and a radical commitment to highlighting some of the most endangered animals and ecosystems in the world with a view to helping raise awareness of these animals and ecosystems. Since graduation from The Victoria University of Manchester with a degree in Zoology Martin has been fortunate enough to spend most of his adult life travelling the world and working on multiple wildlife projects, before setting up and establishing Royle Safaris (a wildlife Eco tourism company that specializes in rare and elusive species with a focus on conservation and human - predator conflicts). 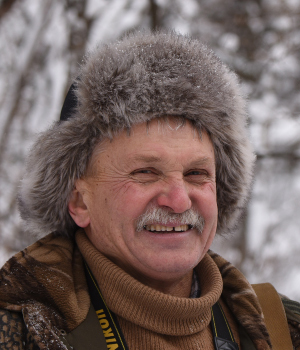 Although Martin would admit that elasmobranchs (Sharks and Rays) are his overall passion, he has worked on a great range of projects all over the world with many different kinds of animals and through Royle Safaris has become involved in tiger conservation, research and establishing tiger Eco tourism in many of their range countries, including the Russian Far East. During this time Martin was trained comprehensively in field guiding techniques used in Southern Africa; including animal tracking, 4×4 driving, weapons handling, approaching dangerous game, identification of plants, birds, reptiles, amphibians and mammals. This is among the most important training and experience Martin has received and is evident in the way he conducts each and every safari. During this time Martin gained his first experience working on the sea, this gave him a thirst for marine life and he has vast knowledge of cetaceans (whales, porpoises and dolphins) and elasmobranches (sharks and rays). He was heavily involved in the data collection for studies on common bottlenose dolphins, minke whales and harbour porpoises, as well as the rescue of stranded cetaceans on UK beaches. During this period Martin learned valuable skills in long distance tracking and identifying wildlife. Working high the Andean Mountains he has visited some of the most remote and beautiful areas of South America. Using VHF transmitters and learning how to safely run and conduct field studies in high altitudinal regions which has helped him when working alongside scientists and trackers for the Snow Leopard Conservancy in later years. During this time Martin fulfilled a life-long ambition and got up close and personal with Great White Sharks as well as other species including the pictured Bronze Whaler which was caught in a net and released by Martin after being tagged and measured with the data being sent to the Oceanic Research Institute. The project Martin was working on was the PhD of Alta de Voss and her study into the anti-predation techniques used by Cape fur seals to avoid being eaten by great white sharks. Martin has also worked on African Shark Eco Charters in Cape Town where he learned how to run Eco tourism at sea in a sustainable way. This time was incredibly insightful to Martin as he gained first-hand experience working with a vast range of animals and plants from sea grass, benthic invertebrates, reptiles, fish, birds and mammals such as sea snakes, sharks, rays, dolphins and sea turtles. From such time here Martin also learnt about how to incorporate local people into the conservation and educating people in the real problems facing the environment today as well as finding out how we can collaborate with the locals to better their lives in a sustainable way with their surroundings environment and wildlife. 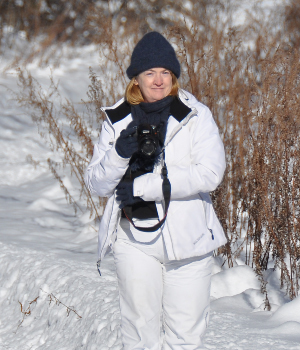 During this, the most recent time spent on a research project, Martin has learned more about birding and the means of identifying birds at distance than on any other project. This was part of a long term bird conservation project for endangered sea birds in the UK and Mediterranean waters. Here Martin was shown the necessary skills to conduct long term field studies which are completely non-invasive as many of the birds were only sighted through binoculars and telescopes. During all these projects and years spent travelling the world and going into many national parks he has developed a real sense of what is required to find, observe and understand wildlife in the field. Never being able to stop he is currently working on a number of private projects including writing A Field Guide to Batoids of the World (Skates and Rays) and an ambitious plan to have an international database for fellow wildlife enthusiast which will hopefully make finding animals in the field easier. Martin has also spent time implementing and being an advisor to various governing bodies on management plans for projects, national parks, Eco tourism and other ventures including: writing action plans to increase profitability for local people sustainably in Indian tiger reserves and the Brazilian Pantanal; whale watching guidelines for local operators in southern Sri Lanka (in conjunction with the Whale and Dolphin Conservation Society (WDCS) and the Sri Lankan high commission in London; and establishing a successful ecotourism program in the Russian Far East with tiger expert Alexander Batalov. All of this as well as running his international wildlife ecotourism business, guiding many of the trips (including all tiger tourism trips (tigers have since become his number one species for tourism, conservation and research) and twice annually visits to the reserve in Russia), and establishing ecotourism in more and more remote and isolated places, this year it will be the rural areas of Thailand, Laos, Cambodia and Vietnam which Martin will focus on for new tiger tracking tours and also setting up local guide training facilities and long term Eco tourism projects. Rob Voyle is an Episcopal priest and psychologist and is the Founder and Director of the Appreciative Way a consulting and executive coaching firm. 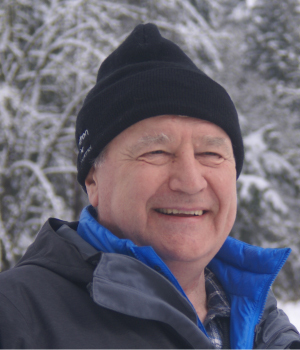 Rob is an internationaly recognized leader in the use of Appreciative Inquiry in church and coaching settings. Rob has an undegraduate degrees in mechanical engineering and subsequent degrees in theology, and psychology Doctorate in psychology.While he currently works primarily as a clergy consultant, Rob has not strayed far from his original engineering roots. When working with people as a priest and psychologist he thinks of his work as "engineering practical solutions for meeting daily needs." 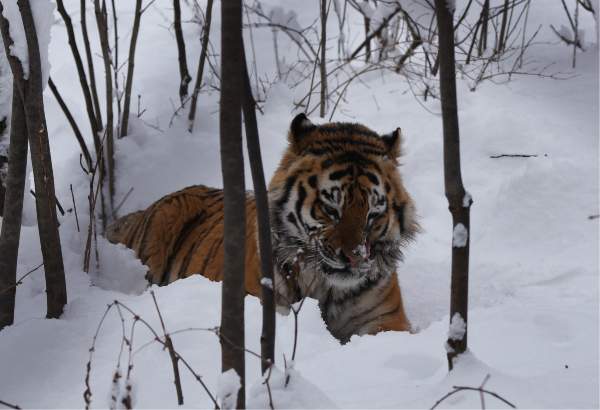 Likewise Rob sees Trees for Tigers as a simple practical solution that ordinary people can engage in as their contribution to creating a safe and sustainable habitat for people and tigers in Eastern Russia.